Here at Staffordshire Brickies, we know how to complete a project quickly and effectively as well as offering a great value service. You can be totally assured of excellent build quality, great design and a comprehensive after-care programme to ensure your bricks stand up to all manner of wear and tear. We have a great track record and countless satisfied customers across Staffordshire who have been delighted with the quality of our work. To get the most out of your brickwork, you should always use a professional service to ensure it is long lasting, attractive and safe. We have a fully qualified team of experienced bricklaying experts with vast experience in the trade and all the relevant qualifications. We have the ability to build fences, staircases, retaining walls, fireplaces and lay foundations. We work closely with our clients to create bespoke brickwork with the emphasis on style and value. Staffordshire Brickies work in both the industrial and domestic sector and no project is too big or small for us. We especially relish a challenge and will always agree a fee up front so you won’t be surprised by any unexpected costs. We can come and visit your home or business to discuss your project and give you a free, no obligation quote. You always seek references when choosing a bricklayer and we many positive testimonials from our Staffordshire clients. We offer extremely competitive pricing for our services without compromising on safety regulations and quality. Our excellent working relationships with suppliers ensures we have access to the very best tools and materials so can rest easy your brickwork will stand up to the test of time. If you have any further enquiries about bricklaying in Staffordshire please don’t hesitate to phone Andy on 07976282878 or get in touch here. 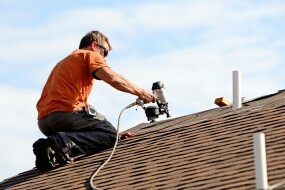 It’s hard to underestimate just how important roofing work is to your property. A poorly done roofing job can jeopardise your entire property along with ignoring damage in need of repair. The longer the problem is left unattended, the higher the cost will end up, which is why it’s vital to act sooner rather than later. In addition, we can save you thousands of pounds on energy bills by insulating your roofing to make it more efficient. This is one of the most effective ways to save energy available and highly recommended. We serve all of Staffordshire. Following a turbulent few winter months in Staffordshire, your property may have fallen victim to storm, rain or hail damage. We can repair any harm done and ensure you are protected in the future. Many people do not even notice the damage to their roof until the problem develops and becomes obvious through leaks or falling tiles. Regular inspection is vital as moss, excess water and lack of ventilation can cause serious problems for your property. Whether you have a commercial building or your own home, it is vital to use experts to maintain your roofing. We have that expertise and will ensure your roofing is of the highest standard; clean, safe, in good condition and well insulated. We guarantee fair prices and we will never carry out any work without your permission. Andy himself qualified from Cauldon College in Staffordshire and is a local expert. The team have over 30 years of experience and hundreds of customers satisfied with our roofing work. Feel free to contact Andy on 07976282878 or get in touch with us online. Don’t ignore your roofing needs! Looking for quality bricklaying in Staffordshire? Then look no further than Andy and his team of experienced bricklayers. Andy and his team have over 30 years of experience and has satisfied customers throughout the whole of Staffordshire. If you want a quality bricklaying service with a personal touch and excellent rates you will not find a better option. We offer a fully transparent service and will never surprise you with hidden costs or unexpected charges. Whatever your bricklaying needs, it will be agreed upon before starting the project and the costs will be worked out. Honesty is our number one policy and we will never carry out bricklaying work without your express permission. The bricklaying team cover the entirety of Staffordshire from Lichfield and Burton to Hanley and Newcastle-Under-Lyme. 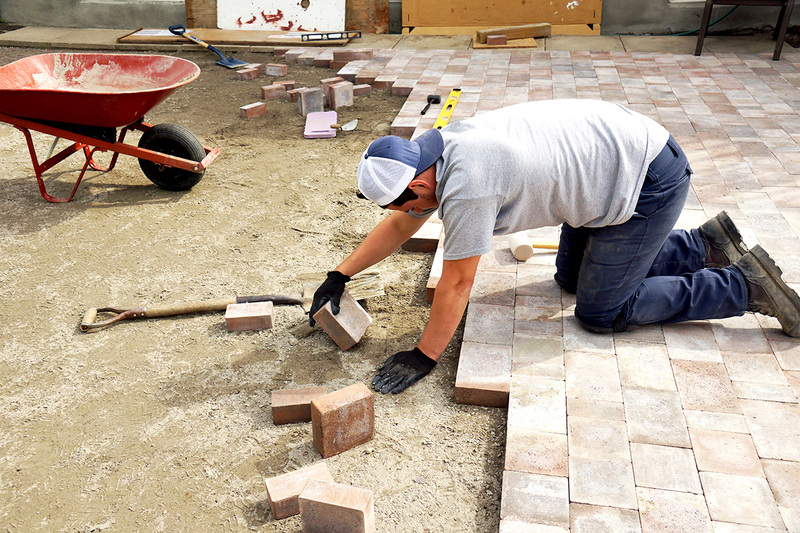 Many people are nervous about choosing the right bricklaying service and wary of being ripped off or paying for shoddy work. However, our legions of satisfied customers who regularly use us will tell you we won’t be beaten on price or quality. We are extremely versatile and no job is too big or small. 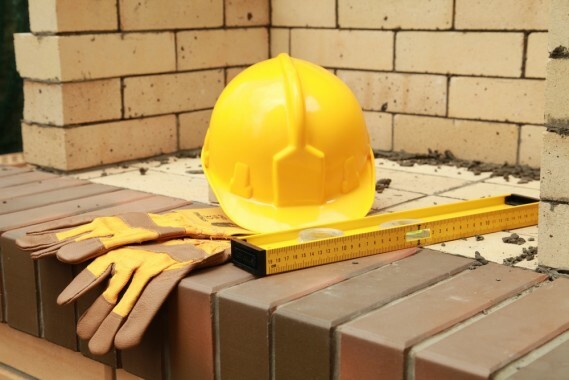 We can meet your domestic or industrial bricklaying needs and guarantee quality. Sometimes, it is hard to know where to start with a bricklaying job but Andy will guide you through every step of the project, from start to finish. We are fully insured, know the trade inside out and will not let you down. And, it isn’t just bricklaying in Staffordshire covered. 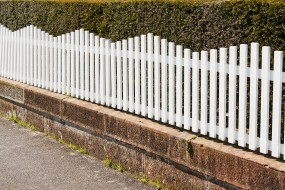 Top class fencing, paving, roofing, groundworking and general maintenance services are also on offer. If you have any questions at all or want a quote for bricklaying then don’t hesitate to contact us on 07976282878 or online. 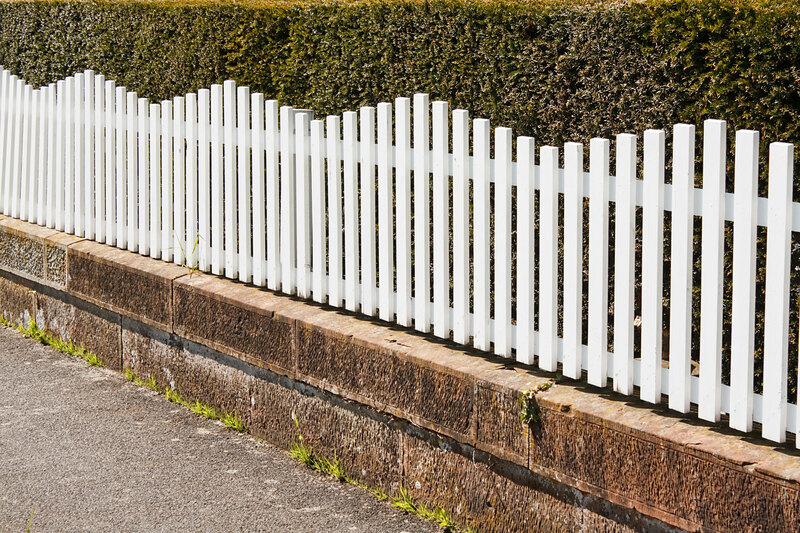 Fencing is something that often gets overlooked and yet it’s one of the most important parts of your garden! It can transform the exterior of your home, with many decorative options available. Even if you choose a plain finish on your fencing in Staffordshire a colour can then be added to tone in with the rest of your landscaping. In addition to the visual benefits that fencing could add to your Staffordshire home, it can also have impacts on the safety of your home. By installing fencing to your garden you’re increasing the security of your property, making it harder for people to enter. But in addition to this, you’re also creating a safer area for your children to play. You no longer have to worry that they could find gaps and wander off. This principle also works if you have dogs and pets. Andy and his team are experts in fitting fencing in Staffordshire and surrounding areas. We’re located in Silverdale but can travel all over the area for your project. If you would like to learn more about our fencing options, then please get in touch! 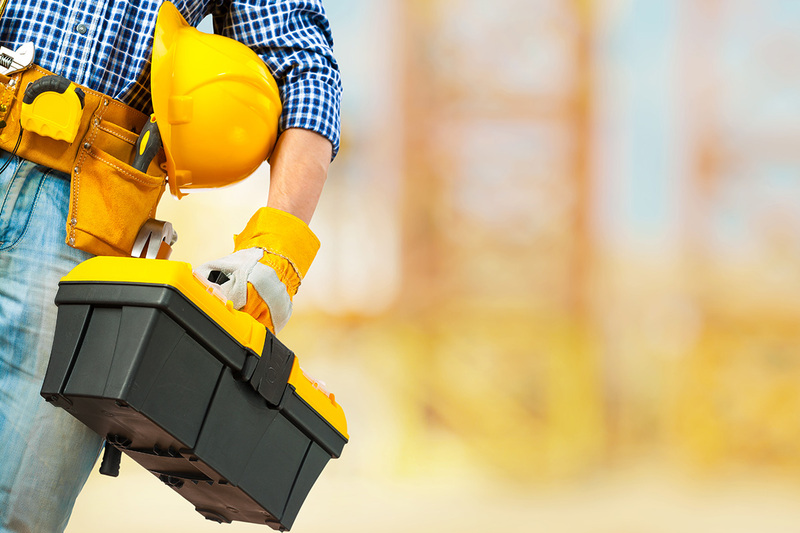 Our team are experts in all building and construction areas. Did you make a New Year’s resolution to sort those home improvements out? It’s not too late! Here at Staffordshire Brickies we have offer a wide range of services to transform your home. From bricklaying, paving, roofing and fencing in Staffordshire we can help you! Andy and his team have many years experience in the trade and are experts in helping you find the right building solution for your home. Need a little extra space? Their past projects include home extensions, room conversions, and interior construction work. 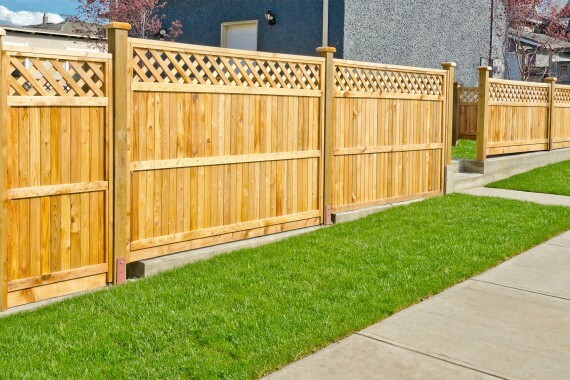 If it’s the outside of your home that needs work, new fencing can instantly transform the outside of your home, giving you a bright and fresh look, even if the rest of your garden is looking a little tired! By choosing Andy and his team at Staffordshire Brickies for bricklaying, paving, roofing and fencing in Staffordshire you are guaranteed to receive the highest level of service and workmanship. If you would like more information about our past projects, or any of our bricklaying or building maintenance, then please get in touch! We’re on hand to give you a no obligation quote.